April 25, 2010 - Teamsters praise court decision that saves 325 Frontier Airlines and Republic Airways workers in four cities. U.S. District Court judge in Milwaukee ordered Frontier Airlines and its parent company must restore mechanic and stock-clerk work to union employees. The U.S. District Court for the Eastern District of Wisconsin ordered Frontier and Republic Airways to adhere to a collective-bargaining contract with Frontier mechanics and stock clerks. “This is a tremendous victory that saved 325 good-paying jobs in the U.S.,” said Teamsters General President Jim Hoffa. After Frontier was acquired by Republic, the company started to outsource union jobs to a non-union subsidiary, which is a violation of the Teamsters contract. The company then announced in that it would send Teamsters maintenance jobs to El Salvador and to Louisiana. 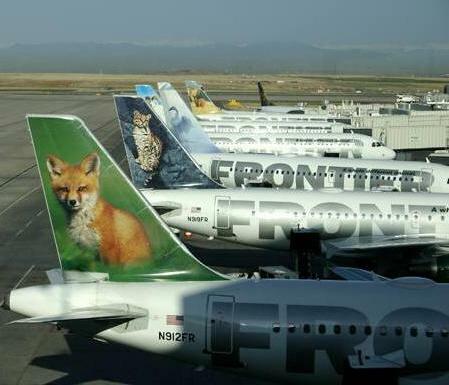 The Teamsters Union has refused to agree to Frontier’s demand that it have the unlimited right to permanently outsource its heavy-check maintenance. “This is incredibly important for labor,” said Matthew Fazakas, President of Teamsters Local 961 in Denver. “It shows that companies cannot get away with breaking their contracts and giving away good-paying jobs or sending them out of the country. “This not only protects jobs in Denver, but jobs in Milwaukee, Phoenix and Kansas City. I want to thank the superior legal team at the Teamsters, Capt. David Bourne and General President Hoffa for their great effort and support,” Fazakas said. The International Brotherhood of Teamsters was founded in 1903 and represents more than 1.4 million hardworking men and women throughout the United States, Canada and Puerto Rico.